Agenda: Final Meeting of the Fall Semester. Due to the renovations of Bakeless Center being competed, club will return to Bakeless 107 for the Spring semester. First official meeting of the next semester will be held on Thursday, January 21st in Bakeless 107 at 8PM. Good luck with finals, have a safe break, and see you next semester! 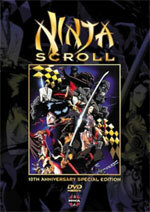 We will also see you at Setsucon on January 16-17, 2010! Overview Rurouni Kenshin: Trust & Betrayal (Official Description): Nineteenth century Japan: a land torn by rebellion and civil warfare; small bands of soldiers roam the land, seeking to overthrow the tyrannical Tokugawa Shogunate. Enter the young orphan Kenshin, trained as a fighter by the master swordsman Hiko. 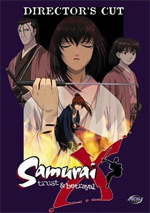 Kenshin's desire for peace is at odds with his brutal life, and the tension seems unreconcilable until he meets a mysterious woman named Tomoe. The enigmatic Tomoe's actions may show Kenshin that another life can exist for him, or may instead conceal a destructive secret. Agenda: Thursday will be the final meeting for the fall semester. 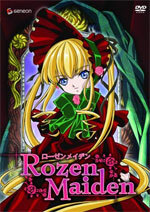 Overview Rozen Maiden (Official Description): This is the story of one young boy who couldn’t get along with his classmates and decided to drop out and never return. This is the story of an exquisite doll who wished to one day become a normal human girl. This is the story of one young boy and an exquisite doll and their adventures as they strive to help each other in overcoming their fears and the very real dangers of the Alice Game. However, in order to do that, they must overcome their distrust of each other. 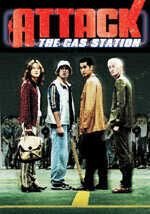 Overview Attack the Gas Station (Official Description): A quartet of disaffected Korean youths have robbed a Seoul gas station. Later, while hanging out in a Chinese noodle shop, they decide to rob the same gas station. After taking the gas station over, their wacky antics ensue; forcing the manager to sing, kidnapping customers that complain about the service, and staging fist-fights between street gang members and gas station employees; all of these reflect their own gripes against society. Agenda: Forums are temporally out of action due to an sever issue. 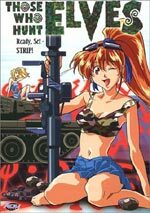 Overview Those Who Hunt Elves (Official Description): No one knows exactly how strongman Junpei, Hollywood actress Airi, teenage Ritsuko, and their T-74 tank landed in a world of elves, but it's up to Celcia, the elves' elder, to cast the spell to send them back to their own world. Unfortunately, the spell runs amok and splits into five fragments that now appear as tattoos upon the bodies of five elves, five young female elves that is, somewhere in the land. So begins the quest of Those Who Hunt Elves to strip every elf they can lay hands on until they find the missing spell pieces. Thursday November 26th, 2009. No meeting due to the Thanksgiving holiday. Have a Happy Thanksgiving! Agenda: Happy Thanksgiving! No meeting Thursday. Discussed new club room for next semester. 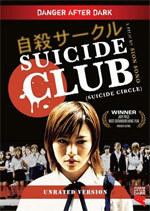 Overview Suicide Club (Official Description): A wave of unexplainable suicides sweeps across Tokyo after 54 smiling high school girls join hands and throw themselves from a subway platform into an oncoming train. Are the jumpers part of a cult? What is the connection to the website that chronicles suicides...before they happen? And, what is the connection to the Japanese all-girl pop group "Desert?" Agenda: We will have a meeting November 23rd before the Thanksgiving holiday commences. Show: An non-anime was showed. Agenda: We will have a meeting November 23rd before the Thanksgiving holiday commences. More Zenkaikon 2009 pictures have been posted. Discussed Setsucon and travel dates. Overview Submarine 707R (Official Description): A high-tech terrorist plagues the ocean...To counter the subversive activities of the USR, a shadowy terrorist group menacing the seas, the leading nations of the world join forces to form the Peace Keeping Navy (PKN). Its inauguration ceremony, however, quickly turns into disaster as Admiral Red, charismatic leader of the USR, launches a surprise attack on the PKN. With fi erce fi repower, Red lets his intentions be known that he will destroy anything that gets in the way of his twisted vision of an ideal future... 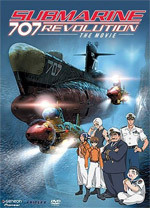 Dive into this exciting deep-sea military action-adventure thriller, as Captain Hayami and the crew of the 707 try to outwit Admiral Red's gargantuan nuclear submarine! Agenda: Zenkaikon pictures now up and discussed Setsucon. 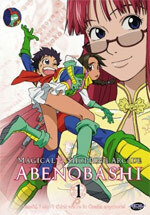 Overview Magical Shopping Arcade Abenobashi (Official Description): Two friends discover that their neighborhood shopping district is actually a portal to a series of parallel worlds! They're journey home takes them through magical kingdoms, giant robot battlefields, and lands where "fan service" is the rule of the day. Agenda: Zenkaikon 2009 was another good time for BUMAC! Our club's trivia team (Manly Battleships) avenged its win in the trivia contest with another victory, JD distinguished himself again in the Anime Dating Game, and Max held another interesting *cough* panel. We will have many pictures soon. Pictures coming soon! 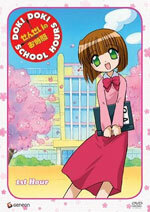 Overview Doki Doki School Hours (Official Description): Mika Suzuki wants to be the best teacher in the world, but standing at under five feet tall (even in heels!) with a baby face and a tendency to cry, her students just can't take her seriously. She may be an adult, but she seems more like a little kid! With a class is full of "energetic" kids--from the jock to the narcissist to the resident otaku, can Mika control the chaos in her classroom? Agenda: See you at Zenkaikon on Friday and Saturday! 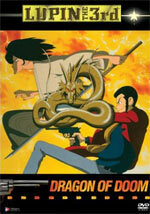 Overview Lupin III - Dragon of Doom (Official Description): Get ready to watch a legardary thief in action: Lupin the 3rd. This slippery thief is a master of disguise. He's usually seen carrying his signature Walther P-38, wearing a colorful tie and a mischievous grin. He may be found with a tall, leggy woman named Fujiko, a samurai named Goemon or a quiet fellow named Jigen. 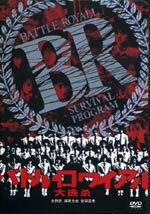 Overview Battle Royale (Official Description): Battle Royale is set in a dystopian future Japan in which a group of middle school students are chosen to participate in a death game after the government has passed an act to deal with overpopulation and unmotivated students. A randomly-selected class of ninth-grade students are taken unwillingly to a small isolated island. Each student is given a map, bread and water, and a randomly allocated weapon. Some students get "weapons" such as binoculars and frying pans, but others get swords, guns and grenades. The students are forced to kill each other until only one survivor remains. Each student is forced to wear a special collar which will explode when they break a rule. Friends and lovers are forced to set their emotions aside as the bloody battle ensues. Agenda: BUMAC held its annual Halloween party. Thanks to all those who dressed up, we had over a dozen members and officers come with a costume. Congratulations to JD who won first place with Snake,Cheryl who won second place with Crazy Cat Lady, and Elaine who won third place with Zippered School Girl. Show: An non-anime was showed as allowed by the special rules for the meeting. Agenda: BUMAC will hold its annual Halloween Party on Thursday, October 29th during the general meeting time. Members are encouraged to come in costume (not only cosplay, any costume is cool!). Prizes will be given for best costume. Assorted candies and awesomeness will be present. Members are encouraged to only bring-in Horror, Psychological, or Mystery anime/live-action shows for the meeting. 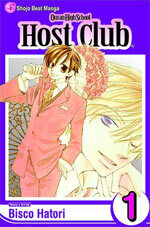 Overview Ouran High School Host Club (Official Description): One day, Haruhi, a scholarship student at exclusive Ouran High School, breaks an $80,000 vase that belongs to the "Host Club," a mysterious campus group consisting of six super-rich (and gorgeous) guys. To pay back the damages, she is forced to work for the club, and it's there that she discovers just how wealthy the boys are and how different they are from everybody else. Agenda: Discussed Fall Gaming Tournament. 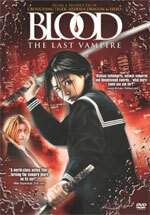 Overview Blood: The Last Vampire (live-action) (Official Description): Demons have infested Earth. And only one warrior stands between the dark and the light: Saya, a half-human, half-vampire samurai who preys on those who feast on human blood. Joining forces with the shadowy society known as the Council, Saya is dispatched to an American military base, where an intense series of swordfights leads her to the deadliest vampire of all. And now after 400 years, Saya's greatest hunt is about to begin. Agenda: Thanks for all those who attended the Fall Gaming Tournament! 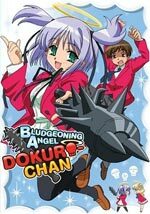 Overview Bludgeoning Angel Dokuro-Chan (Official Description): Imagine a world where the secret to immortality has been discovered, causing women to stop aging by the time they turn twelve. Sounds like it might be a perfect playground for a discoverer with less-than-wholesome interests, doesn't it? That's exactly why the Big Man Upstairs sends Dokuro-chan, one of his angelic assassins, into the past to "deal" with the sicko who messed with nature. But Dokuro-chan decides instead to move in with her target, Sakura Kusakabe, and keep him too occupied to find eternal life. Funnily enough, the path of nonviolence leads to a fountain of blood, as Dokuro-chan accidentally kills Sakura on an almost daily basis, only to resurrect him with a magical chant moments later. Agenda: The Gaming Fest is on Saturday, we hope to see you all there! Agenda: Discussed Gaming Fest. The Gaming Tournament will be held on Saturday October 17th, from 11:30AM until 8:00PM, Kehr Union Ballroom. The event includes all-day freeplay on multiple systems as well as several tournaments throughout the day. All profits will be donated to the charity Child's Play. 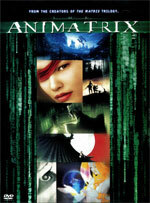 Overview The Animatrix (Official Description): From the creators of The Matrix trilogy, this groundbreaking collection of nine short films from seven of the world's leading anime directors provides a visionary fusion of CG-Animatrion and Japanese anime. Agenda: Discussed Gaming Fest and website updates. 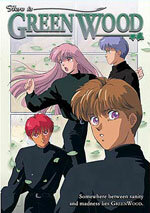 Overview Neo Tokyo (Official Description): *Rintaro’s "Labrynth" is an elegant fantasy exploring a little girl’s impressionable imagination: The beginning of the three stories opens with a girl who, while keeping herself entertained at home with her pet cat, finds herself transported to a mysterious world. As she wanders the streets of this new world, surrounded by creatures of all sizes and shapes, she makes her way to an entrance that leads her to a tent. She is invited inside by a clown and she and her cat go inside to find… *Kawajiri’s "The Running Man" is a high-octane futuristic thriller revolving around a deadly formula-1 race: Bob Stone is writing a story about a legendary race car driver, Zach Hugh. A man who has been at the very top of a brutal race called Deus Ex for close to ten years. What Bob Stone finds is a man whose sheer will and tenacity has transcended this realm leaving the racer’s body and mind in tatters. In the end, Zach Hugh’s inhuman will leads him on a road of ruin. *Otomo’s "The Order to Stop Construction" is a Bradbury-esque allegory speculating on the dangers of man’s over-reliance with technology: Deep in the jungles of the Aloana Republic is a construction project gone amuck. A coup d’etat leaves a new power in charge of the government which demands the immediate termination of the construction. Tsutomu Sugioka is an employee who is charged with venturing deep into unfamiliar territory to invetigate what has happened to the on-site supervisor whom the company has lost contact and to halt the construction project. 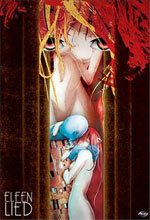 Overview Elfen Lied (Official Description): Lucy, a beautiful young mutant, is bred by the government to be the ultimate weapon. Armed with unfathomable powers, she escapes her handlers, but loses her memory in the process. Fortunately, our young waif is taken in by two well-meaning students. Now, with government killers on her trail, the disposition of a five year old, and a hair trigger for ultraviolence, Lucy and her young friends must unravel the dark secret of her legacy before it’s too late. 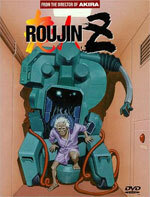 Overview Roujin Z (Official Description): An elderly invalid is volunteered for a bizarre experiment. The Z-001 is a machine that take care of all human needs when linked with the brain waves of the subject. But due to a secret military prototype of the Z-001, the machine has turned into an unstoppable robot. Agenda: An Erie Anime Experience report was given by one of the members who attended. Agenda: Good luck to our members attending Erie Anime Experience this weekend! 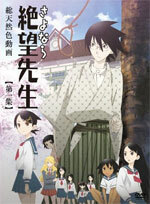 Overview Sayonara, Zetsubou-Sensei (Official Description): Nozomu Itoshiki is depressed. Very depressed. He’s certifiably suicidal, but he’s also the beloved schoolteacher of a class of unique students, each charming in her own way: The stalker. The shut-in. The obsessive-compulsive. The girl who comes to class every day with strange bruises. And Kafuka, the most optimistic girl in the world, who knows that every cloud has a silver lining. For all of them, it’s a special time, when the right teacher can have a lasting positive effect on their lives. But is that teacher Itoshiki, a.k.a. Zetsubou-sensei, who just wants to find the perfect place to die? Agenda: Congratulations to Jason for winning the Vice Presidential election. Overview Here is Greenwood (Official Description): Kazuya Hasukawa's belongs to only one woman, but the day she moved in was the worst day of his life. Why? Because she is moving in to be his brother's wife. Distraught and desperate to escape his heartache, Kazuya leaves home and puts his fate in the fickle hands of dormitory life. He finds himself exiled to Greenwood, a housing facility for outcasts. Will Kazuya retain his sanity, or will Greenwood live up to its reputation as an asylum? Agenda: Vice Presidential election on Monday. 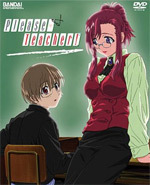 Overview Please Teacher (Official Description): Kei Kusanagi isn't your typical 15 year old high school student. He's actually 18 with a rare disorder that puts him into what he calls, a "standstill". This disorder left him in a deep coma which stunted his growth for the next three years! Mizuho Kazami isn't your typical teacher either. She's actually an alien sent to observe the Earth! As the sole human being with knowledge of Ms. Kazami's secret, Kei must...Marry the alien?! Homework, dating and a gorgeous wife - going to school has never been quite this fun! Agenda: An investigation determined that there were invalid votes being cast in the annual officer's election, and a recount established another victor in the Vice Presidential race than was announced. Due to various circumstances, the actual victor decided to resign the position, leaving it vacant. The administration has decided to allow an open election to fill the vacancy, to be carried-out during the official meeting on Monday, September 21st. Full details will be available this Thursday during club and posted on the forums the same day. 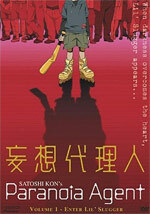 Overview Paranoia Agent (Official Description): "When the darkness overcomes the heart, Little Slugger appears..." After the first victim's story, the police felt the overly stressed woman was having a breakdown and lied to cover-up for some crime. However, after the third and fourth attacks upon unrelated victims led to the same description of a young attacker with a golden baseball bat and in-line skates, the police had to wonder- is the "Lil' Slugger" real or a sinister phantom? Agenda: First regular meeting of the semester. Welcome to our new home in Bakeless 105! Extensively discussed plans for film fest. The Film Fest is on Sunday, we hope to see you all there! 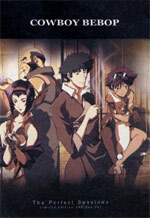 Overview Cowboy Bebop (Official Description): Meet Spike and Jet, a drifter and a retired cyborg cop. They've formed a partnership in a bounty hunting enterprise that specializes in adventure and cash. 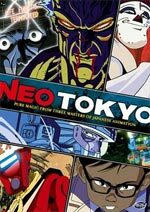 Using an old converted fishing ship called the Bebop, with the help of the intelligent data dog, Ein, the mysterious and vexing femme fatale, Faye Valentine, and Ed, the genius hacker -- Spike and Jet scour the galaxy to clean up space, one bounty at a time.